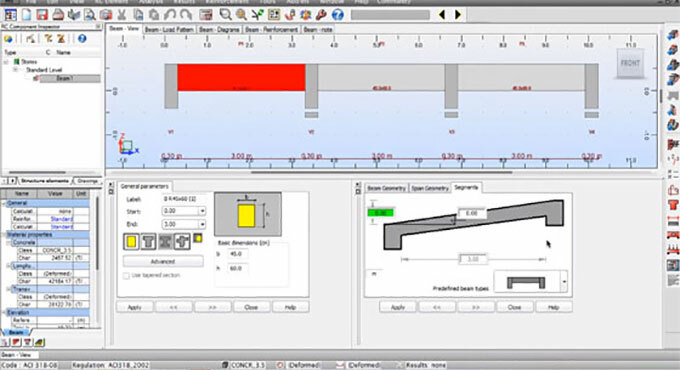 This construction video sheds light on Reinforced Concrete Beam Design by applying Autodesk Robot Structural Analysis Professional 2014. Robot Structural Analysis Professional structural software facilitates engineers to accomplish simulation, analysis, and code-based design for all sorts of structure to recognize the behavior of any structure type in a quickest possible way through advanced BIM-integrated analysis and design tools. Robot Structural Analysis Professional structural software offers some useful functionalities like Wind load simulation, Advanced auto-meshing and structural modeling, Materials and design codes support, Integrated solution for concrete and steel, Structural loads and load combinations, Composite beam design etc.